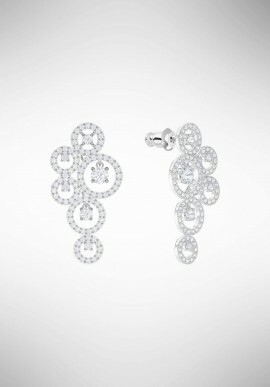 Make Valentine's Day a glamorous day with this delicate pair of earrings with a knot-shaped motif, symbol of the unique bond between two people. 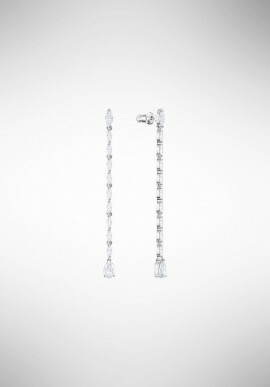 The design combines crystal pavé and rhodium plating, for an elegant and romantic look, rich in the glitter of Swarovski. 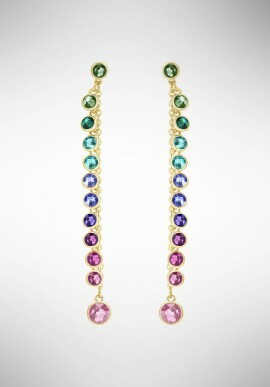 Buy the colorful summer style with this pair of gold-plated earrings. Their vibrant design in a rainbow of crystal is ideal for summer parties and an extraordinary gift idea. 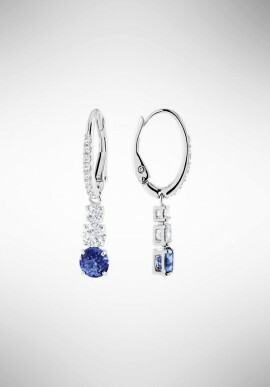 Combine it with other Swarovski jewels to express your unique style. 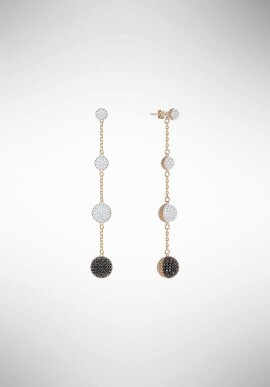 Find the perfect gift for Mother's Day or any other occasion with this pair of old-fashioned circles, decorated with crystal pavé, to recall the special Swarovski sparkle. 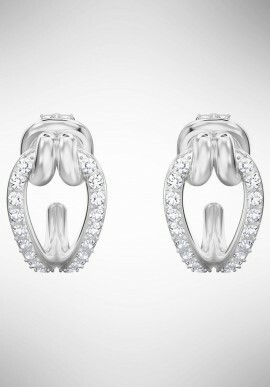 The delicate rhodium design is easy to wear with every outfit, from day to evening. 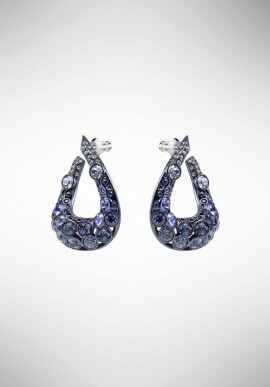 Emerge in the crowd on special occasions, with this glamorous pair of rhodium-plated chandelier earrings, inspired by the sparkling surface of a lake. 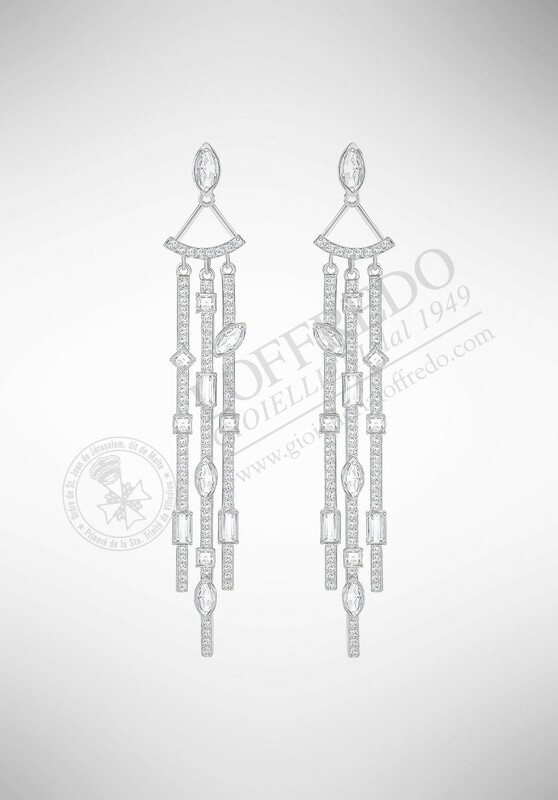 The sensual waterfall design is beautifully packaged with Clear Crystal with square and triangular shapes and a classic pavé. 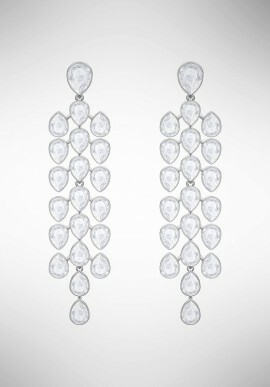 The jewels with a strong personality are particularly in vogue and this pair of oversized chandelier hole earrings does not go unnoticed. 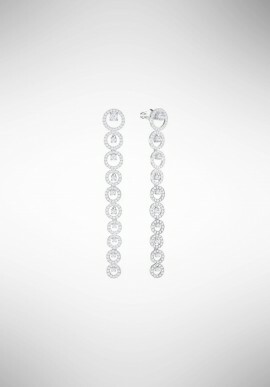 Designed in the timeless Clear Crystal and rhodium-plated metal, they have a delicate filigree silhouette studded with pavé that evokes a lace. 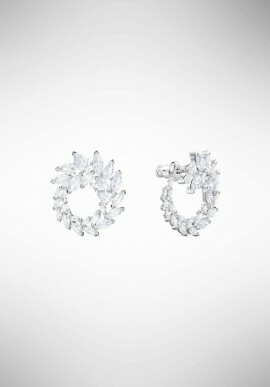 The oversized studs are very trendy this season and with this wonderful pair of clip earrings the effect is assured. 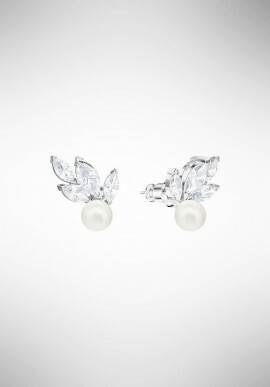 These jewels enhance a variety of colors and cuts, as well as the bright details of the Crystal Pearl, and are characterized by vintage elegance. 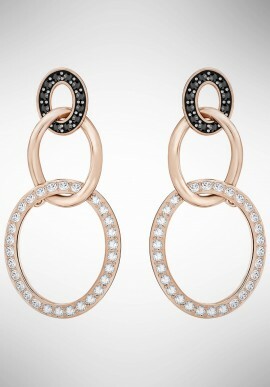 Celebrate female power with this set of four pink gold-plated Mine hole earrings. 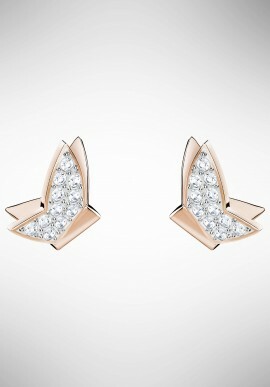 Original, fun and full of elegant romance, they can be combined to create different asymmetrical looks of great trend. 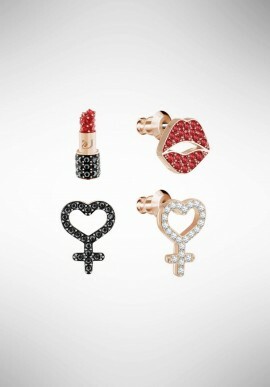 Each earring is a fun symbol embellished with crystals. 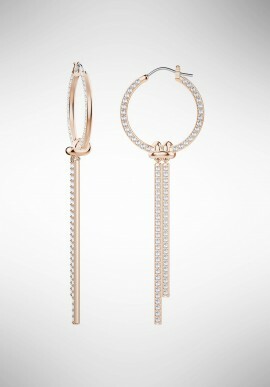 Long earrings are a very trendy accessory for fall / winter. Find the right look with the Louison long-hole earrings, which show off timeless elegance thanks to their glamorous glitter and rhodium plating. 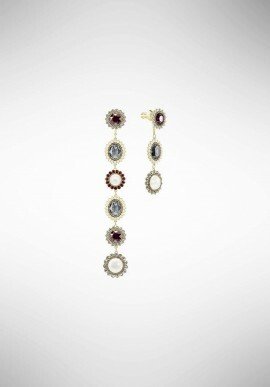 The vintage style has never been so current. 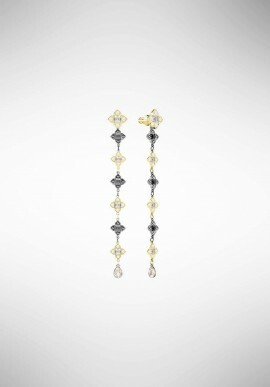 This very modern pair of long, asymmetrical cut-hole earrings is a fascinating mix of ancient and modern. 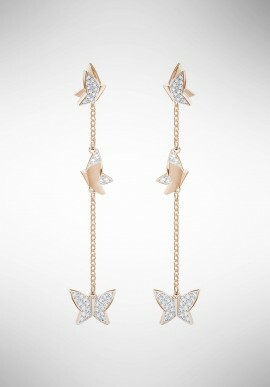 Richly decorated with crystals of different colors and worked with different techniques, this gold-plated creation shines with transport. 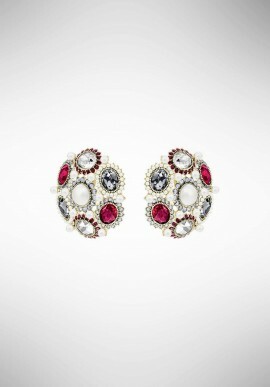 This jewel, characterized by a perfect balance and soft lines, fuses a pink gold plating with sparkling crystal pavé spheres. 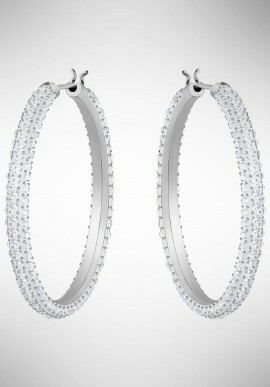 The effect is elegant, romantic and unmistakably Swarovski. 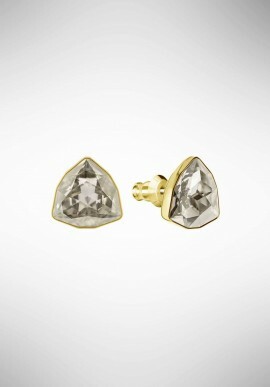 Ideal to wear every day. 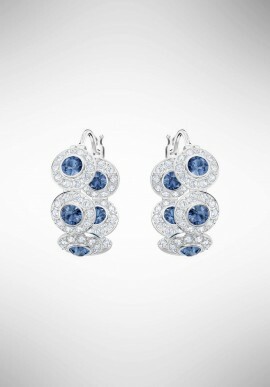 Add the "wow" factor to your party days outfits with this glamorous pair of hole earrings, which is inspired by high-end jewelry and winter leaves and highlights spirals of leaf-shaped elements. 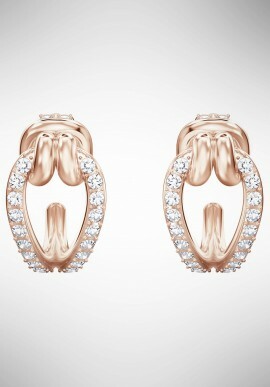 Inspired by an enchanted forest, this pair of lobe earrings is simple and delicate. The crystals, gray in color, are enclosed by a frame in gold-plated metal, which enhances the best craftsmanship of Swarovski. Matched items are available. 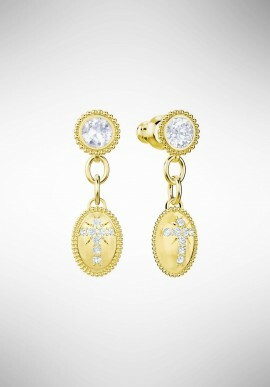 When it comes to timeless elegance, sometimes the least is more. 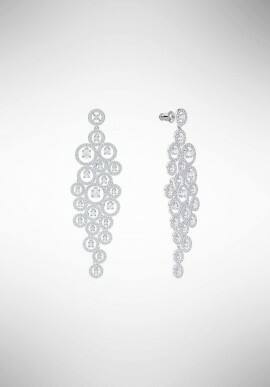 Drawing inspiration from high jewelery and icy winter leaves, this delicate pair of hole earrings adds the right amount of sparkle to a sophisticated touch of glamor. 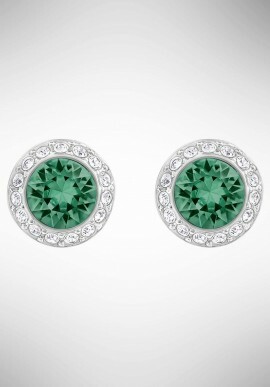 The asymmetrical earrings are the trend of the moment and this delicate pair of earrings with holes with different metal plating promotes the trend with a vintage note. 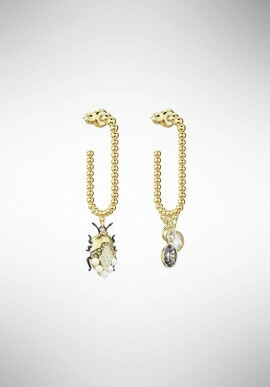 The golden chain presents the motif of a scarab on one side and a mix of cuts and colors of the crystal on the other.